Includes tabbed sections for vessel information, cruising log, maintenance log, fuel log, radio log (with mayday instructions & VHF requirements), and vessel inventory for emergency equipment, spare parts & lightbulbs. After years of boating in the waters of the Pacific Northwest and years of frustration in trying to find a log book that met their boating needs, Milo and Terri Walker of Seattle designed their own log book. 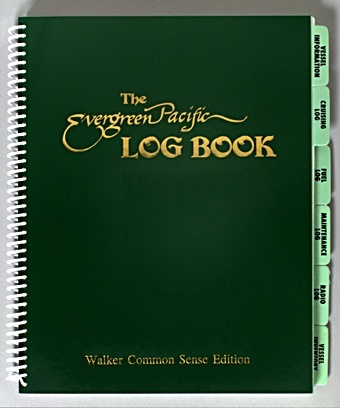 Best-selling log book coast to coast. No wonder it is on its 14th printing!